A Free Short Story from The UnFairy Tale Series This Holiday Season! In a couple of months we will be a part of The UnFairy Tale Series Blog Tour. Until then, I'm very excited to share with you all this freebie from the author, Anna Staniszewski. She's offering us all a free short story from the series called, Jenny's First Adventure," this Holiday that we can add to our collections and enjoy. 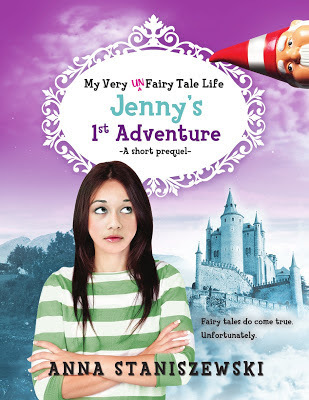 In this short story we'll get the inside scoop on how an average day in gym class changed Jenny’s life into a real live magical fairy tale...often with not so happy endings. Click the image above or HERE to get your free copy of this short story to this amazing series!